Part of the BSH team opted for the St. Petersburg Philharmonic Band's gig at Sage Gateshead last night. I was down the road in Armenia but, if I'd realised they were 'doing' Tchaikovsky's Fifth, I think I'd also have been heading for St. Pete's. It's my favourite symphony and I'm surprised that neither Ellington, nor any of the other trans-genre composer/arrangers never picked up on it. One person who did was Mack David who, who along with Mack Davis and Andre Kostelanetz penned a lyric to the andante cantabile theme in the second movement and called it Moon Love - and what a song! Sinatra recorded it early in his career with Harry James and, later on, on his magnificent Moonlight Sinatra album. Glenn Miller and Al Bowlly also had a bite at it. Peter Ilyich provided plenty of fodder for the Tin Pan Alley boys but there were few better musical muggings than this! For anyone who hasn't yet picked up on Denny Farrell's weekly Late Night Chicago Radio Show this week's as good a place as any to start. 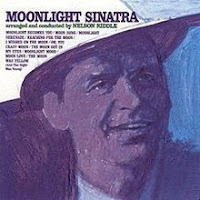 Art Hodes; Diana Krall; Jack Teagarden; Sonny Criss; Fred Astaire (w. JATP); Tony Bennett; George Shearing; Manhattan Transfer (Blue Champagne) and a whole lot more. Mention of Blue Champagne prompts me to remind Ruth Lambert that I'm still waiting to hear her sing it - it was 10 years ago when we first talked about it! It's a great tune and, if Ruth doesn't eventually get round to it then there's a whole gang of girls out there who could do it justice. Anita O'Day does a great version!